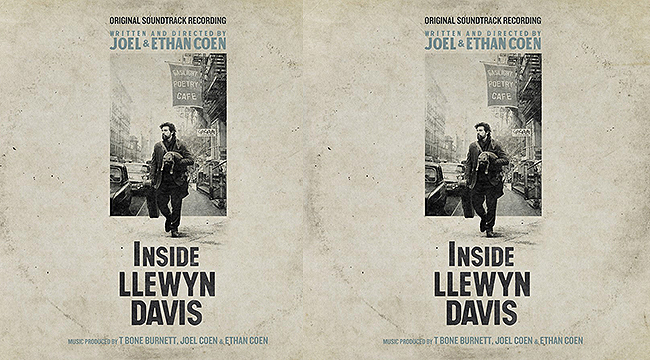 Producer T-Bone Burnett, the mastermind behind the bluegrass soundtrack to the Coen Brothers’ 2000 film O Brother Where Art Thou, reunited with the directing duo to work on their new film Inside Llewyn Davis, a fictional account of the Greenwich Village folk scene of the early ’60s. Burnett recently phoned to talk about the process of putting together the soundtrack for the movie that stars Oscar Isaac in the title role. Talk about the process of putting the songs together. There was a script and a couple of songs in the script. In the script, there’s hardly anything in it. You read it and think, “What’s this?” It’s all about the tone. It’s not spelled out. 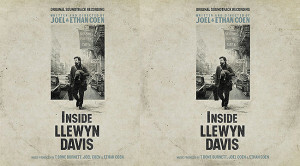 A lot of it was “Llewyn sings a song.” We had to figure out what those songs were. That started early on, almost as soon as there was a script. The performer had to perform these songs live over and over with the same energy level all day. It’s an amazing feat. What role did Marcus Mumford play in the process? He came in when we started recording everything. We did pre-records for everything. It’s a complicated process because the Coens wanted to film the whole thing documentary-style live without click tracks. They wanted to do it live, which if you have five cameras, you have a better shot at getting a performance live. But we did it like they would have done it in 1960 before digital. The performer had to perform these songs live and he would have to do it over and over with the same energy level all day. It’s an amazing feat. Most of the time in movies there is a guide track or master track laid down so that you can cut from any shot to any shot and use take after take. This was done much rawer way. But it’s so much richer I have to say. The amount of detail you can get from shooting something live is so much better than putting together a virtual performance after the fact. What was the question? I was wondering about Marcus’ role. Marcus came into the pre-records and we put them together to listen to the music all the way through. We recorded them so the actor would know how it was supposed to sound and so that by the time we got to the set everyone would know what to do. We would know if we had the pacing right. We were able to tune it in. You’re spending a lot of money every day so you’ve gotta get it right. So Marcus called up a couple of days after [his wife] Carey [Mulligan] was cast and he thought it was so great. He wanted to know if we needed anyone to get tea or anything like that. I said, “I need the voice of [Llewyn’s songwriting partner] Mike Timlin. It’s a role in the movie but it’s not on camera. Why don’t you come in and participate and hang out?” He was there in full force and the first recording was his version of “Fare Thee Well” that happens at the beginning of the film. That was the first take of the first thing we recorded. I think I read that you had a hand in casting Oscar Isaac. Is that the case? I did. I should say that when Oscar showed up, it was obvious. He’s just the rare performer who can captivate you live. There are lots of actors who are actually good singers and that’s a shift. There are actors who can sing and play in ways that they couldn’t have 20 or 30 years ago. Now, I think for all of us, we’re all crossing disciplines just to get by. I think [Justin Timberlake] has a good shot of being someone like Bing Crosby, a lifer who does everything right and plays golf. Justin Timberlake seems like an odd casting choice. But he’s great in the movie. What was it like to work with him? He is an incredibly generous artist. Everyone comes in with the Coens and puts everything on the table, and they do it. There’s none of the conflict with them. He effortlessly became part of that process and wrote the melody for “Please Mr. Kennedy,” which was beautiful. He was there during the pre-records too. When we were doing “The Auld Triangle,” the Punch Brothers were doing it, and he and Marcus were in the control room and started singing bass. They ran out and added bass. He was just there like one of the boys and killing it all the time. He’s good. I think he has a good shot of being someone like Bing Crosby, a lifer who does everything right and plays golf. Were these old folk songs all in your wheelhouse or did you spend time going through the archives? I knew most of the stuff. I didn’t know the first couple of songs. I understand this [folk] world and this particular part of it. “500 Miles” is like “Wildwood Flower.” Doesn’t everybody know that? And “Queen Jane” I knew. I was happy to see that come up. I forget where it comes from but Dylan had “Queen Jane Approximately” and Lou Reed had “Sweet Jane. We were looking for a place to put this version of it in the chronology. We even have a later version of “Queen Jane” as a folk rock version after the movie ends. How different was this from O Brother Where Art Thou? We did the same on that film. We recorded the whole film and if you listen to the album, it’s just the film in its running order. That’s what this one is as well. We recorded an album before the film. In this case, we re-recorded the whole album live as a film so there’s that version that exists. That’s a backwards way of doing it because we were always making a film. Can you explain the role of the cat that mysteriously appears in the movie? No. The Coens said they put it in because nothing much was happening. I think there was a cat in Breakfast at Tiffany’s. I tell you this, there are many precedents for the cats. I would say that’s maybe one of them. Every shot in a Coen brothers’ movie has history in it. That’s one of the fun things about their films. They reveal themselves over repeated viewings.